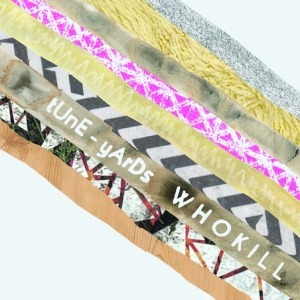 BY BRIAN HOWARD When tUnE-yArDs, the musical project of Merril Garbus, broke out in 2011 with the mesmerizing album w h o k i l l— a jittery, skronking mash up of acoustic and electronic, funk, soul and Afro-pop—it was a revelation. It felt especially fresh, making all the year-end lists, and topping the Village Voice’s Pazz & Jop poll. But a lot has changed in the world since then, and a white woman from New England playing African beats is received a little differently now. 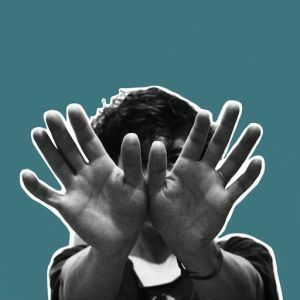 In the intervening years, Garbus has weathered criticism for her liberal cribbing from the Afro-pop songbook she so loves, and on her new, dance-music-inspired album, I Can Feel You Creep Into My Private Life, addresses many of those issues head-on. 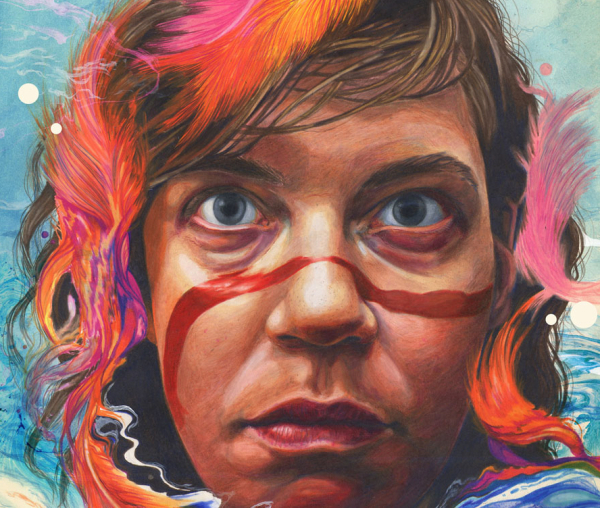 In interviews ahead of the release, Garbus has talked a lot about the personal work she’s engaged in, grappling with issues of privilege, appropriation, her own whiteness, and what they mean in her life and in her music. The new record feels very much the work of a person in the depths of some tough self-analysis. For a record with such infectious grooves, the ride gets more than a little bumpy—appropriately, given the odd times we’re living in. Oakland-based Garbus and bandmate Nate Brenner hit Union Transfer on Thursday. We caught up with Garbus and asked her about the right way to pay homage to Ladysmith Black Mambazo, touring through Trump country, how to evolve and dancing at the end of the world. We caught up with Garbus the morning after Game 3 of the Sixers/Miami Heat series. Turns out she’s an NBA fan. MERRILL GARBUS: Did the 76ers win? PHAWKER: We did win, yeah! PHAWKER: Thank you! Yeah, Joel Embiid returned to the lineup, so that was very… we’re all really excited about that. We missed him. Are you a basketball fan? MERRILL GARBUS: I am, yeah. We’ve been watching all that lately. MERRILL GARBUS: The Warriors. I mean it’s so unlike me not to root for the underdog, but I’ve lived here long enough that, you know, I saw them come up from nothing to champions, so yeah… Still a Warrior’s fan. Nate’s a Pacer’s fan, Indiana, so I’m also a secret Pacers fan. PHAWKER: There’s an off-key piano note within the first few seconds of “Heart Attack,” the very first song on the new album; that strikes me as significant. That note seems to be saying quite a bit. I was hoping you could talk a bit about what it means, both to the record and maybe about life right now. MERRILL GARBUS: Thank you for noticing that. [laughing] It’s funny ‘cause I think “Heart Attack” was one of those tunes that, in my struggle to understand and to eventually embrace four-on-the-floor dance music, it was a kind of song that I hadn’t written before, and I guess the “wrong note” is the Tune-Yards-y part, the dissonant part. What I don’t appreciate about a lot of other pop music is… there’s no dissonance, there’s a kind of, “Everything is okay. Everything’s rosy in here” [vibe] but everything is not okay. I love when music reflects that. I think that certainly there’s a lot of contemporary pop—specifically hip-hop and R&B music that does have those dissonant moments in it. But, thanks for bringing attention to it, because I think you’re right. We were starting the album with a song that was like the most generic lyrically. It’s the least pointed. It could be about the end of a relationship. It could be about the world. It could be about anything—and I want it to be that way for people. But the dissonant note felt really important so that it wasn’t just a generic candy pop tune. PHAWKER: On the song “Coast to Coast” you seem to be grappling pretty openly with the divided country we find ourselves in right now. There’s fear in there. There’s what feels like an army marching, and then there’s the line “We let freedom ring, but whose freedom?” There’s a lot of disillusionment in the world right now, and I feel like there’s a bit of that in the song, as well. How do you think we make sure everyone’s freedom rings going forward? MERRILL GARBUS: Work at it really hard. I was listening to this radio show on climate change last night as I was driving home—you know, driving home, burning fossil fuel—and one of the points that Paul Ehrlich—he’s the author of the 1968 book Population Bomb—suggested was that we actually have to evolve in order to make it, like, we have to evolve into organisms that are not so sight-oriented because we can’t always visually see the danger of climate change. I think we have to evolve to withstand discomfort a lot more. I feel pessimistic about our capacity as humans to evolve on purpose. We might be forced to evolve. We have to work really hard on ourselves and also on our society. I think the optimistic part is that a lot of people have taken that work on—as I’ve heard said around here in activist circles, “Get in where you fit in.” Do the things that feel the most accessible to you and that you’re the most passionate about, and then work on them. And a whole lot more listening. I think we need to be ready to listen to what we might not want to hear. PHAWKER: On on the song “ABC 123” there’s that line “Sitting in the middle of the sixth extinction.” There are moments in the song where there’s this sense of the world is burning, so we might as well dance, and other moments where the uplift feels like a rallying cry. I read a story about how you were DJing the night of the election, and I was wondering if you could talk a little bit about dancing and writing dance music as the world is crumbling. MERRILL GARBUS: The world is crumbling, to me, from my perspective, but that’s a very limited perspective, an American, Western and white American perspective that we… you know, I’m saying “us,” as if you’re like me, but I don’t know; so I’m going to say “us” as in NPR listeners and climate change believers, scientists. There is this perspective that I just assumed is a monolithic perspective. Something that was really illuminating to me around the election, I was doing a lot of racial justice work and just coming to understand that there are a lot of people who feel like the world has been crumbling for a long time. There are a lot of people who have been dealing with their lives feeling threatened on a daily basis for a very long time. So it opens this window for me that maybe I don’t know everything. I have a really deep belief that it’s healing and joy and pleasure that will give us the tools to be resilient in these times… like, no matter what, we have to keep celebrating what we have; if we don’t celebrate what we have, we’ll take it for granted. If I don’t celebrate life, then I’ll take life for granted. PHAWKER: There’s a line in “Who Are You?” that really struck a chord with me. It’s that line “Communion is old, but what makes a community whole.” I grew up Catholic, and I stopped practicing the moment I went to college. And now I’m fortysomething with a one-year-old daughter, and even though religion still doesn’t resonate with me, I find myself wistful for the idea of having a place where everyone in the community goes once a week, to see people that you don’t see in your day-to-day life. Is that the idea behind that line? And if so, what do you think is or could be a replacement for that sort of meeting place in a world where there’s a lot of disconnect in our communities? MERRILL GARBUS: It feels like to me like it’s an opportunity lost in terms of organized religion. There’s not a whole lot of trust in organized religion anymore, at least in many parts of the world. There’s all the blind trust in it for some other people. I’m really wondering about that, because I think I’ve definitely found it somewhat in organizing in activist circles. You know, like I was really glad to take these workshops in the buddhist community about privilege… white privilege and about whiteness and how it separates us. PHAWKER: So in the songs “Then Is Now” and “Colonizer” and in some others as well, you address the kind of tricky theme of cultural appropriation, which is something you’ve confronted in your own back catalog. W h o k i l l owes quite a bit to African musical traditions, and it’s clearly music that appeals to you. How have you come to confront influence in your songwriting? Do you find yourself editing yourself if you feel like you’re using something that isn’t yours to use? MERRILL GARBUS: I think it’s a big old question mark. By which I mean, I don’t think there are answers necessarily, but I do think that there are real things to consider. For instance, I asked myself, ‘How can I give credit where credit is due? How can I pass the mic?’ as in, ‘How can I draw attention to people who are not often given opportunities in this world?’, which is really, you know, we are living in white supremacy. It sounds so drastic, I think, sometimes, to say it that way, but it’s just true. So, how do I pass the mic to others who don’t usually get the mic? And then financially, you know, I lifted something from Ladysmith Black Mambazo, which felt very karmic somehow, being influenced by Paul Simon and Graceland. The line “Reveal yourself, reveal yourself” on “Private Life,” comes right from their song “King of Kings.” Just to credit them and to pay them royalties felt like doing it the right way. That’s the right way. But I feel like cultural appropriation just is. It’s happening all the time. Jack White doesn’t talk a lot about cultural appropriation, but he’s the total cultural appropriator,. And he has his own way of paying homage, but I find him problematic at times, too. I find Justin Timberlake problematic, and I love his music. So, I think we as white musicians, who are influenced by black music, we are problematic. And as with everything having to do with culture and race and society, there’s no real clear or clean answer, but I really do believe that there is intention, and there is being courageous, and there is letting go of our egos enough to admit when we’re wrong, or when we’re causing harm. PHAWKER: What are some examples ways that you’ve passed the mic? MERRILL GARBUS: One is this radio show that I do, C.L.A.W., where I get to interview women and play the music of female-identifying producers and rappers. I feel like rap is an art form that has always been exactly that: people taking the mic and expressing their truths, and that was why this particular project was really fulfilling to me. And I would say also in who we choose to amplify, bringing them on the road with us. … An important motivation for me is to create more connections and relationships with musicians who are different than me and are telling different stories than me. Music is this incredible opportunity for that because musicians have music in common, and that can be a real lubricant for some of these really difficult conversations that I think we do need to have. PHAWKER: I noticed there are a lot of dates on your tour that are in what I guess you would call “red states.” Was that intentional? A little “coastal elite” bubble bursting? MERRILL GARBUS: No, it wasn’t… I mean we always try to get to as much of the country as we can. So I hadn’t really thought about it that way. But maybe that’s why the ticket sales are so low in Houston [laughs]. Nate’s from Indiana, and I’ve got a lot of family in Kentucky. I’ve always had a complicated attitude towards liberal and conservative, just because of where I come from. I really do believe that the majority of human beings want the same thing. We want peace, and we want shelter. And we want to be fed, and we want safety for our loved ones. Something that we’ve always loved doing, and always tried to do is not just be New York and L.A., even though, absolutely that’s where our largest fans are, on the coasts. We gotta talk to each other, so that means bringing California to Nebraska. This entry was posted on Thursday, September 20th, 2018	at 1:30 pm	and is filed under News	. Responses are currently closed, but you can trackback from your own site.